Hungarian drama co-written and directed by Miklós Jancsó. In 1919, with Hungary in disarray following the fall of communist rule, former Hungarian Red Army soldier István Cserzi (András Kozák) escapes to the countryside in an attempt to evade the secret police who are tasked with hunting down Red Army soldiers and executing them without trial. After taking refuge on a remote farm run by two women, István soon finds himself facing some tough choices as his relentless pursuers close in around him. 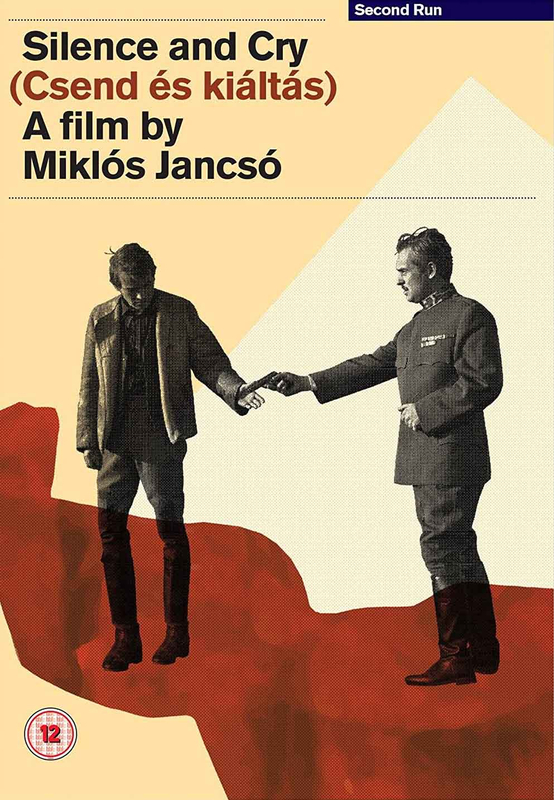 Silence and Cry (1968) presented from a brand new 2K restoration of the film by the Hungarian Digital Archive and Film Institute, supervised by the film's cinematographer János Kende.